Five years ago, at around 8.15pm in February, my eldest daughter, Abi, suddenly complained she felt ill and woozy. Within 45 minutes she had collapsed on our bed with me and her dad with her. Her younger sister and brother were in their bedrooms, listening to us scream, cry and panic as we watched her fade away before our eyes. It was the most terrifying night of our lives. 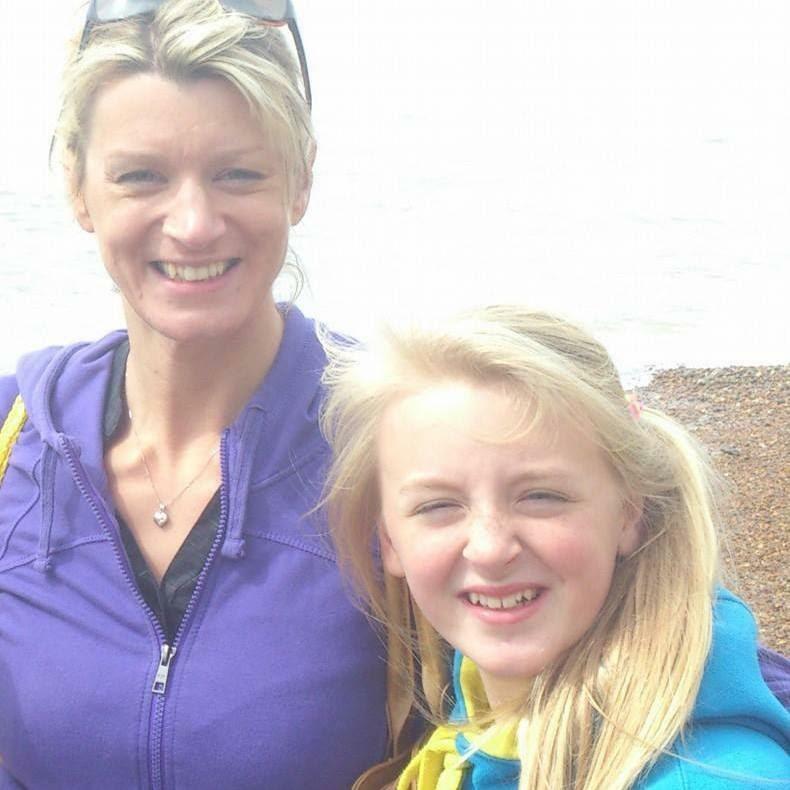 Abi had suffered a catastrophic brain haemorrhage. She was dying, but we managed to stabilise her with CPR and the paramedics rushed her to hospital. She never regained consciousness. Four days later, we were with her when the doctors turned off her life support machine. Abi was just 12 years old. It felt as though our lives were suddenly spiralling out of control, all that we thought to be safe and true was shattering, and there wasn’t anything we could do about it. The community rallied round at the news of Abi’s death and we were often in the local paper. We were just an average, happy family, so her sudden death was a shock to everyone. Friends and family did what they could and raised money, which we arranged to go to Wallace & Gromit’s Grand Appeal, for the Bristol Children’s Hospital, to support the care of other children there. This was other people’s way of remembering Abi and supporting us; people needed a way to express their grief that felt positive somehow. But, while it helped, we were the ones living with the loss each day. My husband and I did our best to support our other two children, who were five and 10 at the time, and kept their routine as normal as possible. Their school was brilliant and did a lot in Abi’s memory, such as fundraising and installing a bench and a tree. The pain of losing your child is indescribable. 12 days before Abi died, I had lost a pregnancy at 14.5 weeks and was still in recovery. I thought the pregnancy loss was hard because it was so personal to me, but this was loss on another scale. I turned to blogging as a way to help offload some of the thoughts going through my mind and process what was happening to us. My blog, Chasing Dragonflies, has reached many people all over the world and I’ve heard from other parents who have lost their children at all ages. While I didn’t want to be in this ‘grief club’, I’m comforted by those who are there for me and understand how I feel. Since Abi died, we have been blessed with two more children. A boy and a girl. We feel so fortunate that we were able to have more children and our home is a busy, noisy, happy place again. We didn’t want to replace Abi, but we wanted to change the dynamic of our family so that it was different to what we had known before, not just us living on without her. Grief can be suffocating and my husband and I agreed that we didn’t want to spend our lives forever in mourning. We have adapted to living without her, but we’ll never ‘get over it’, that’s just not an option. Our two younger children know her as their sister from the photos we have around and we’ll tell them about her as they grow up. We have settled into a new kind of normal, but it’s not too different from our routine before. We live in the same home, do the same jobs, and our routines are similar. We are happy with that though. In some ways, it keeps Abi near us. We still find it too painful to flick through the old photo albums or watch videos with Abi in them. Even five years on I can remember her voice and laugh, but I fear if I watch her I will break down. It’s like I’ve put the trauma of the loss in a box in my mind which I daren’t open. I have a constant pain in my chest. I simply haven’t had time to deal with it. Most of my life now is spent battling anxiety about all our health, and putting a brave face on for the children. Our perspective has probably changed the most. We don’t worry about the silly things we used to get annoyed about and are more appreciative of each other and of our children. Material things don’t matter to us so much now. It’s been a real challenge to hold ourselves back from wanting to let them do and have whatever they want, and disciplining and guiding them so that they also live a ‘normal’ life. We’re probably more inconsistent in our parenting style now, depending on our emotions. 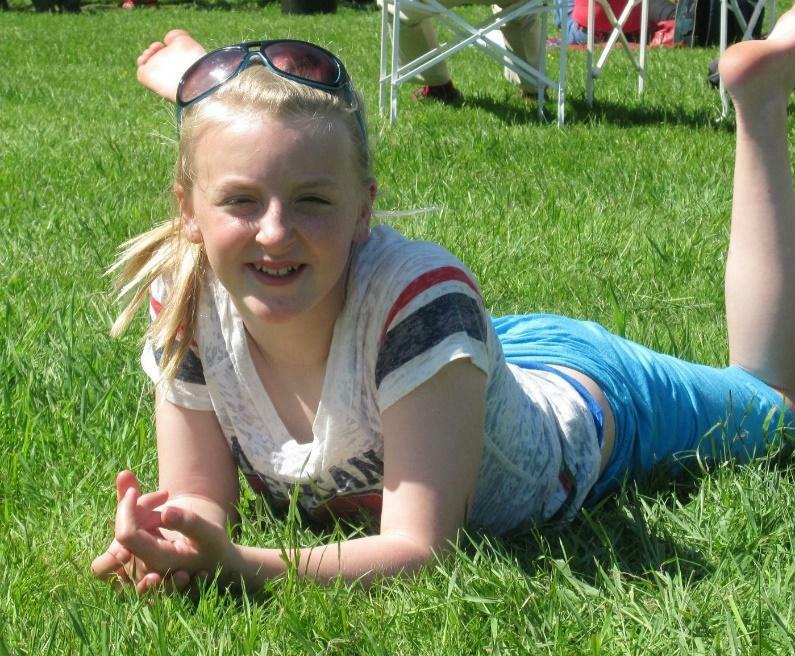 Abi was a life-loving girl who wanted to see and do everything. She was fun. We encouraged her to follow her dreams and we want that for our other children. We’re mindful not to be overprotective of our children. We have to give them as much chance to have a happy childhood and get them to adulthood without too much anxiety. It’s not easy, but it’s all we can do. My own faith in God has been transformed since Abi’s death. I felt God was very near, and I am actively involved in my local Anglican church. My husband isn’t so sure, but it’s OK, we respect how each other feels regarding faith and how we deal with our grief. I think that has helped us to remain strong through all this. There have been times when it’s been really hard, that first couple of years particularly, as grief is a complicated emotion to add to any relationship. However, we’ve somehow got through it and are trying to keep hopeful that we won’t have to suffer another tragic loss like this again. We’ve not had a great deal of therapy since Abi’s death. The children were well supported by Winston’s Wish, a children’s bereavement charity, and we had some family support from them too. I suppose the focus was so much on making sure they were OK that we put ourselves to one side. I had some private therapy sessions which were helpful but hard to afford long-term. I can go through periods of feeling OK and fairly content (or rather distracted), but then the grief cycle will hit me again and I’ll work through all the lows, fear and anger again. It can be exhausting. Five years on, our life feels as though it is settling a little, although we know all too well we are not immune to more heartache and worry. We are more aware of death and the fragility of life. We also live in hope and want to make the best of what we have. I continue to write, although not as frequently. Grief changes so much, constantly. It’s important for me to document the changes and aspects of life as a bereaved mother and I have heard from many other parents in my situation who are thankful for my honesty. I still laugh, though not as deeply. I still smile in photos, but the sparkle has gone from my eyes. I still care about some silly things, but I don’t dwell on them. I lost a big piece of my heart the day that Abi left us. I can only hope to be with her again, one day. Kelly is a married mother of five from Cheltenham. To read more of Kelly’s story, visit her blog Chasing Dragonflies.